Alternate Reality Gamers are always looking for the best way to keep informed of what’s going on in their favorite game. Not everyone can surf the boards reading each and every post all day long (yes, some people actually have to work at work), so players are always looking for ways to stay as current as possible without having to sacrifice huge amounts of time. Historically, moderated lists or blogs that would email updates to players’ in-boxes were pretty much the standard vehicle for letting players know about game updates in a timely way. 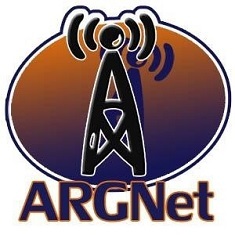 Recently however, ARGs and their corresponding player-authored resources have begun taking advantage of RSS syndication, which is a way of pushing new content out to players, but surprisingly, this great vehicle is often going underutilized. So, we thought we’d offer a little primer for those of you who have always wondered what those little RSS buttons that show up on various websites are for. RSS stands for Real Simple Syndication, and is a standard format for publishing and distributing regular updates around the web. Using this standard, website publishers can provide updates like the latest news headlines or blog postings to consumers who use RSS reader applications (or one of a growing number of online services) to collect and monitor their favorite feeds in one place (RSS content viewed in one of these readers, is often called a “feed”). Major news websites such as Wired and news-oriented community sites such as Slashdot and Fark offer RSS feeds, but it’s not just for news. Almost anything that can be broken down into discrete items can be syndicated via RSS: the “recent changes” page of a wiki, new items for sale on Amazon.com, even recent postings or new topics in a forum. Once information about each item is in RSS format, a feedreader program can check the feed for changes and notify you when they occur. RSS reader programs called news aggregators are popular in the blogging community. Many blogs make content available in RSS. A news aggregator can help you keep up with all your favorite blogs by checking their RSS feeds and displaying new items from each of them. RSS is great for ARG players, as it makes it possible to review a large number of sites in a very short time. You can monitor forums, in-game blogs and websites all at once, and be instantly informed of any changes or new items. There are lots of applications available to help you amass and read your favorite feeds, falling into two categories: installable desktop programs and online services. Desktop applications, such as Feedreader, are available all over the place for download, both for free or a small price, depending upon the features you’d like. Googling “RSS Reader” will give you numerous results to choose from. In addition, there are many browser-based readers, such as the Sage Feedreader extension for Firefox, which we highly recommend. Online services give you the obvious advantage of being able to access your feed collection from any computer or mobile device, but are usually a little slower and have fewer features than their desktop counterparts. The most popular online aggregators are Bloglines and NewsGator, while My MSN and My Yahoo! have recently added RSS content capabilities to their personalized homepage services, which very conveniently adds any feed to your My Yahoo! or My MSN homepage. These latter services are great for those of you who love your personalized homepages, and will list your favorite feed right alongside all of the standard news and weather. With the addition of RSS Syndication on these popular homepage services, you can now read the headlines from Reuters, CNN, and ARGN all in one place as you have your morning cup of coffee. So you’ve found a nifty new feedreader, or already have a My Yahoo! or My MSN homepage. What next? Besides the major feed sources such as BBC, CNET and Amazon.com, you’ll find many useful feeds available in the Alternate Reality Gaming world. To see if a feed is available on a particular site, look for a button labeled XML, RSS 1.0, RSS 2.0, Atom 0.3, Feedburner or something similar (if you can’t find a link, most readers will have some sort of auto-discovery function that will look for hidden available feeds on the site). The link from that button can be pasted into your feed reader and voila! You’ve subscribed to a new feed that will be updated as often as the content changes. Many times you’ll see a link to specifically add a feed to your My Yahoo! or My MSN page, which will automatically add the feed for you. ARGN Main Feed: Excerpts from every new article on ARGN, you can find the feed behind the Feedburner icon in our main menu. Unfiction Forums has two feeds available: New Posts and New Topics. Many player-resources such as game Wikis and Moderated Blogs will have a feed for you to access. The Perplex City ModBlog has a feed, while the Perplex City Wiki has a recent changes feed. This is a great way to stay totally up-to-date on everything without having to stop by the sites fifty times a day. In-game sites may even have a feed available, which makes life much easier if you’re a frantic-F5-is-there-an-update-yet type of player. Perplex City comes through again in this regard with numerous formats available on the in-game blog The Scarlett Kite. RSS feeds are a great way to get instant notification of updates, changes and news. You can browse the list of items all in one place, click on what interests you, and then be taken directly to the related article. Once you get used to the convenience of subscribing to RSS feeds, you’ll wonder how you ever got along without them.